Flank steak has always been one of those cuts of meat that deserves to be cooked on the grill. 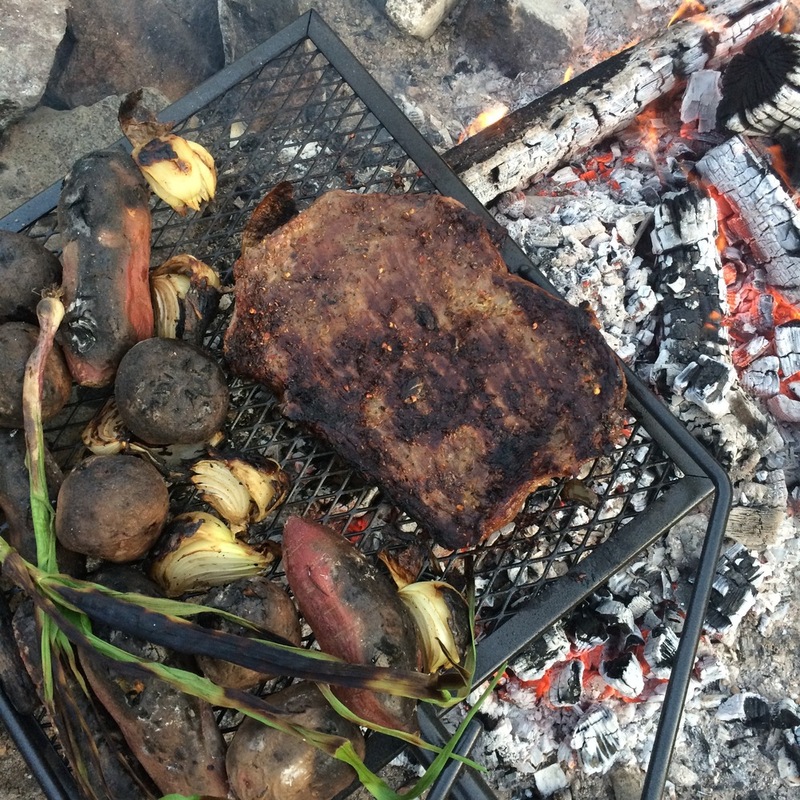 After an overnight marinade, I set it out onto the fire and allow the meat to char a bit, adding those bitter flavors to pair with the salty, sweet, and sour elements that no coat the flesh. Flank is a large, flat cut that comes from the abdomen section of beef. Because of its long stringy flesh, it works well to add some acidic flavors to help breakdown and tenderize the meat before cooking. The recipe below uses Asian flavors to add a touch of spice and lots of flavor that pop when cooked on the grill. Once grilled to medium-rare (preferred), a touch of sea salt and a squeeze of lime is all that's needed to make this a winner. First place the coriander seeds in a dry skillet and heat over medium-high until lightly brown and toasted. transfer to a mortar and pestle and grind. Place in a bowl and add the remainder of the ingredients. Whisk well to incorporate. Place the flank steak in a non reactive pan and pour the marinade over the top. Flip the steak to coat evenly on all sides. Place in the fridge and allow to marinade overnight. An hour before cooking, remove the pan from the fridge and allow the meat to come to room temperature. Prepare a grill or use a heavy bottomed skillet to cook the beef. Cook well on one side for 4-5 minutes before flipping and cooking an additional 2-3 minutes. Remove the beef from the grill/pan and let rest for a few minutes before slicing thin against the grain. Sprinkle with sea salt and freshly squeezed lime.